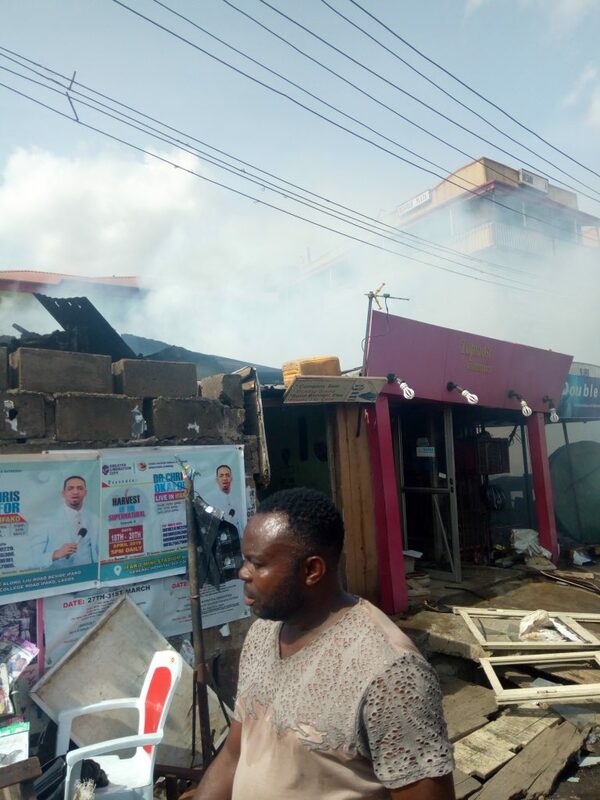 Property and goods estimated at millions of naira were destroyed on Saturday afternoon when a fire razed shops at Aguda bus stop in Ogba, Lagos, Nigeria’s commercial city. 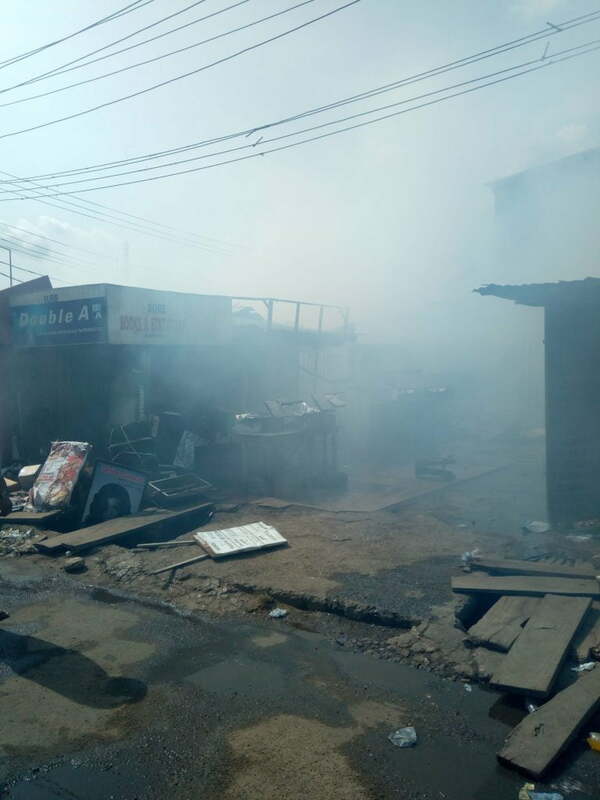 Naija News learned that the fire started around 2 p.m from one of the shops, which sells Sharwama, and spread to other shops. This online news platform understands that the fire incident affected more than ten shops in the area. Five along Shonola road and others along Ijaiye road. The affected shops include a boutique, bookshop, three electronic shops, among others. Naija News reports that the fire was curtailed by officials of the Lagos State Fire Service. A ladder truck was parked just metres away from the shops, shooting water on the roof of the shops along Shonola. A second ladder truck attacked the fire from the shops along Ijaiye road. At its peak, the intensity of the blaze required firefighters to work from outside the shops. The incident, this online news platform can report, has caused gridlock along the road, with sympathizers and passerby scattered at the scene. Men of the Nigeria Police Force (NPF) are also on the ground to provide security. Fire razes shops in Aguda, Lagos. Photo credit: Philips Sunday/Naija News.